The holidays are almost upon us, and it’s time to find some inspiration for the new year. We have just the ticket: a short list of must-see YouTube dance channels and series you may be missing. Grab your laptop and kick back — or better yet, bust out your foam roller and resistance band — and let the show begin! Monica Mason coaching ‘Giselle’. Screen shot courtesy of the Royal Opera House YouTube Channel. (my personal favorite) the seemingly infinite collection of rehearsal segments, ranging in format from intimate studio sessions to more formal open demonstrations, and running from a few minutes to over an hour in length. Notable selections include Monica Mason coaching Giselle, Anthony Dowell and Antoinette Sibley coaching Manon, and Christopher Wheeldon rehearsing Polyphonia. 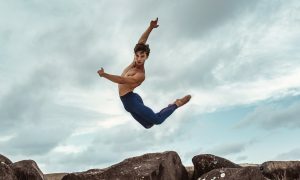 In the United States, plenty of rich ballet content has been created as well, although the most successful programming comes from a pair of producers previously unaffiliated with the dance industry. Sarah Jessica Parker’s well-known affinity for the arts fueled the creation of the AOL Originals series city.ballet, an insider’s look at New York City Ballet and its stars, while Teen Vogue’s Strictly Ballet shines a spotlight on the demanding pre-professional path. 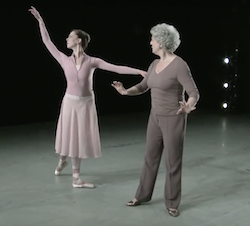 If you’re more in the mood to marvel at wunderkinds in action, your first stop should be the Prix de Lausanne channel (PrixdeLausanne), which has stored up extensive footage dating back to 2007. And Visual Arts Masters Productions (vamproductions) boasts a catalogue of Youth America Grand Prix coverage that also encompasses the past eight years. A screen shot of a video from the YAK Films YouTube Channel. Finding a single “best” source for street dance styles is a tricky undertaking. There is a vast maze of material available, and once you dive into the following list, you’ll likely find yourself station hopping based on the suggestions YouTube automatically generates. At the top of the crop is YAK Films (YAKfilms), featured during the 2014 Lincoln Center/Dance Films Association Dance on Camera festival, which delivers an addictive array of artistically edited footage showcasing rising stars, established celebrities (such as Lil’ Buck and Les Twins), and remarkable dance battles. 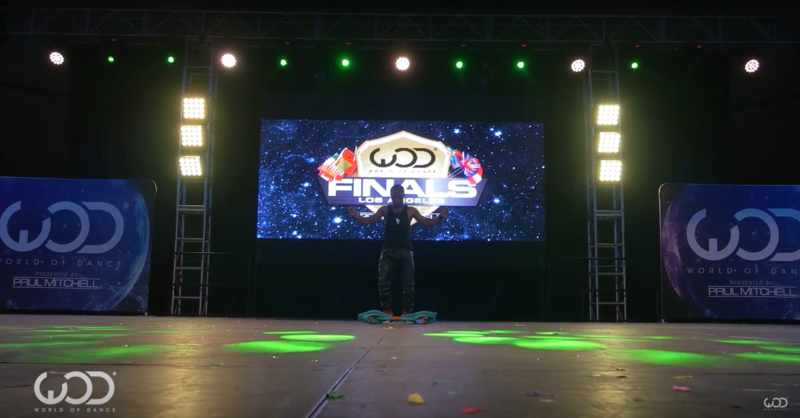 Another prime choice, World of Dance, is known for its annual international competition that spans 15 countries. This channel goes beyond mere performance footage, however, offering a regular series on new danceable urban music, weekly round-ups of “irrelevant dance news”, and artist interviews. Hip Hop International (Official HHI), which, as the producer of a growing clutch of global dance competitions, will literally take you around the world in 10 minutes or less. 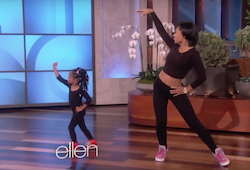 A screen shot of Heaven and her mom dancing on the Ellen Show. Photo courtesy of The Ellen Show YouTube Channel. If pure merriment is your only objective, the options are endless. Ellen Degneres is known for her tendency to cut a rug spontaneously — and for inviting her guests to do the same. 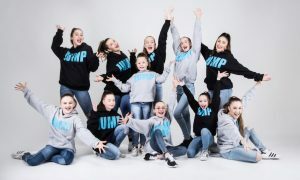 A search for “dance” on her station (TheEllenShow) will reward you with a plethora of excerpts showcasing the moves of high-profile figures including Matt Damon and President Obama, along with those of trending dance sensations such as Dytto and treadmill daredevil Carson Dean. Late-night prince Jimmy Fallon has a similar penchant for getting his guests to groove, and his parodies of the “Evolution of Dance” — a YouTube phenomenon in its own right, having received over 293 million views — are both absurd and undeniably enjoyable. Again, a “dance” search on Fallon’s channel (The Tonight Show Starring Jimmy Fallon) will provide ample amusement. By Leah Gerstenlauer of Dance Informa. Photo (top): A screen shot of a video on the World of Dance YouTube Channel. How Can Alexander Technique Help You?